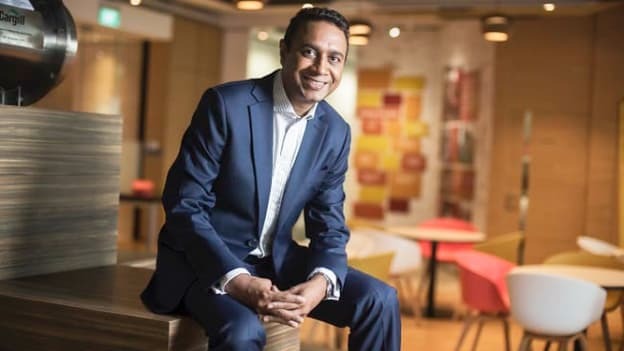 In a panel discussion at TechHR Singapore, Manish Verma, Asia Pacific Regional HR Leader, Cargill, will share his thoughts on the importance of leaders being drivers of the transformation agenda. Leadership and culture are the most often overlooked ingredients of tech transformation. A layer of transformation driven by leadership and culture is critical to the success of tech transformation. For this, it is important for organizations to identify the critical aspects necessary for a successful tech transformation, understand the role of leadership in driving tech transformation, and know how they can make transformation inclusive for the most important stakeholder- the employees. In one such panel discussion at TechHR Singapore, Manish Verma, Asia Pacific Regional HR Leader, Cargill, will share his thoughts on the importance of leaders being drivers of the transformation agenda. In an exclusive interaction with People Matters, Manish gives a brief snapshot as to what can leaders do to foster a culture which facilitates transformation. I think each leader who is designing digital transformation for their organization must clearly articulate the following: defining “why” i.e. defining the value the organization is going to benefit. He must also get the top of the house as a sponsor with commitment and ownership of goals and ambitions, including funding/investment. Then he needs to keep in mind the approach for deployment including team, transformation or agile way of doing. Lastly, he needs to build change and adoption capability as well as facilitate the adoption of the new operating model. What are the key things should leaders keep in mind while looking for and hiring digital talent? These days, almost all digital transformation starts with culture and a digital culture attracts talent. Millennials are generally drawn to digital change and of course companies, with their promise of a collaborative, creative environment and greater autonomy. It’s no wonder that websites such as LinkedIn.com and Glassdoor.com are increasingly used by job seekers to get insiders’ perspectives on a company’s culture. APAC is a growing region and there are many challenges a leader faces here. The first one is balancing global needs vs local nuances. We always have to be recruiting and retaining – pipelining on our minds. Then again building Asian talent for global positions is yet another challenge. So is the decision between cost vs investment in the region. Manish Verma will be speaking at TechHR Singapore on 28th February 2019 at Marina Bay Sands, Singapore. Register now.